Canada will soon introduce legislation to legalise recreational marijuana. Pot advocates are not as happy as you might think. The Cannabis Culture dispensary in downtown Toronto gets a steady stream of foot traffic around noon on a weekday. 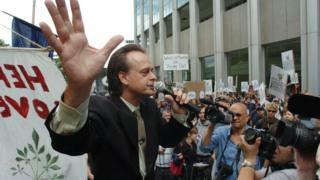 But Marc Emery, who helped set up the franchise that flouts Canadian drug laws by selling pot to anyone over 19, is annoyed. The dispensary had been raided the day before by Toronto police. "It's the government's intention to legalise it. So why is the government still arresting people?" he asks. Mr Emery is just one of many owners of illegal marijuana storefronts that have mushroomed in cities across Canada after the federal Liberals were elected in 2015. The Liberals have committed to legalising recreational marijuana in Canada and plan to introduce marijuana law reforms on the sale, cultivation and distribution in parliament next spring. Marijuana advocates are now pushing the legal boundaries in the grey zone between prohibition and permission. 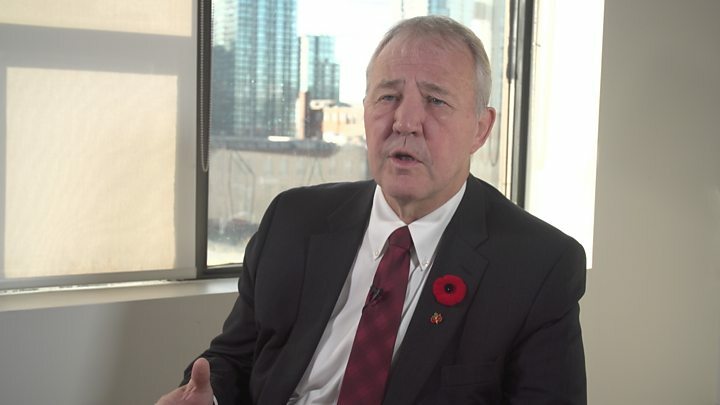 Former Toronto police chief turned federal politician Bill Blair, who is the Liberal's point man on legalisation, is having none of it. "The only system for control is the existing legal regime. And we're a society of laws," he says. Mr Blair says Ottawa has consulted US states like Colorado and Washington that have had legal recreational cannabis for a few years now. The lesson learned? "It's easier to ease up later than to get strict later," he says. But advocates like Mr Emery, who has dedicated much of his life to fighting against marijuana prohibition and spent five years in a US jail for selling marijuana seeds to Americans, say they have lost patience. "We already have everything settled," he says. "We know how to sell pot. We know how to grow it. We know how to buy it, we know how to smoke it." And they do not give much credibility to the politicians, law enforcement officers, public health officials and academics being consulted on the legalisation process. "Here's all these non-smokers telling us how it's going to be," Mr Emery says. "It's like straight people telling gay people how they're going to live their lives." The end of marijuana prohibition in Canada will also introduce an entirely new sector into the country's economy. The current domestic black market for marijuana is CA$5bn ($3.7bn; £3bn). Chris Horlacher is president of Jade Maple, a consulting agency in the cannabis industry and one of the founding members of the Cannabis Growers of Canada (CGC). They represent small- and medium-sized entrepreneurs trying to establish Canada's "craft cannabis" industry. He says there is frustration and fear that the federal government will simply allow already established legal medical marijuana suppliers to take over the recreational marketplace. "The government has created this brand new camp that is trying to gain its share of the market and they don't necessarily understand the product, the culture," Mr Horlacher says. "We have all these people who are actually newcomers who don't have any experience with the product and now they're saying: 'We're the legitimate ones and you're the evil profiteers.'" Medical marijuana is legal in Canada but, since 2014, registered patients can only get their cannabis shipped from licensed large-scale suppliers. They have also recently been allowed to grow their own. There are currently 36 licensed growers in Canada. Many are openly positioning for the eventual legal recreational market. "Everyone is just eyes on Ottawa," Mr Horlacher says. Image caption One Vancouver marijuana dispensary has experimented with pot vending machines. Canadians, especially its youth, are among the world's biggest pot users. Ottawa says legal pot under a new "strict regulation" regime will make it easier to keep it away from young people, to pull profits from organised crime, to reduce the burden on police and the justice system, and to improve public health. A federal legalisation task force is wrapping up its work and is expected to send its recommendations to the government soon. Pain specialist Dr Mark Ware is on that task force. He has researched medicinal marijuana for some 16 years and acknowledges that "there's a culture associated with cannabis use and cannabis users". "This has become a drug that found a place in our society that's quite unique but it's also been shaped by its illegality." Task force members were repeatedly asked about the harm linked to marijuana use, from driving high to its impact on developing brains and mental health, he says. "There are these big broad areas of concerns that legitimately deserve a lot of attention," says Dr Ware. But he notes that because of prohibition, the benefits of the drug "medically or socially or spiritually" have not been well researched. He says the legal framework will spur research but that Canadians will need time to adjust to a new way of seeing marijuana outside of prohibition. "This is a long experiment that will continue for many, many years to come," he says.